Following United Airlines CEO Oscar Munoz's apology for his staff's violent encounter with a passenger, many have questioned whether his wealth played a role in the heart transplant her received last year. Munoz suffered a heart attack on October 15, 2015, just a month after he took over as United's new CEO. Less than three months later, on January 5, 2016, Munoz received a heart transplant. 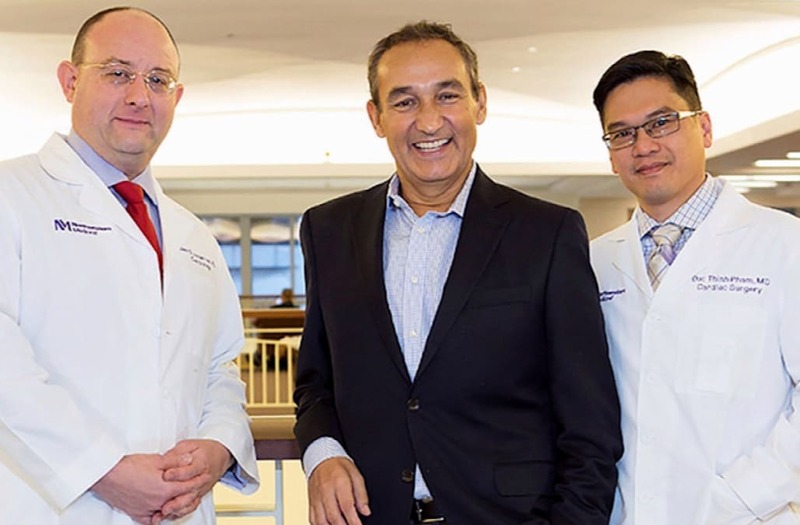 "How did Oscar Munoz move up the heart transplant waiting list so fast?," one online commentator said. "Something seems fishy, like he was given priority because he is rich," was another. Despite the allegations, doctors are skeptical that Munoz was able to jump the list. "Any allegation that there is a preferential treatment of a patient on the waiting list, I would like to see the data because our system is designed to prevent that from happening," Dr. Stuart Sweet of the United Network for Organ Sharing in St. Louis told Inside Edition. During an event in the fall for The Atlantic magazine, Munoz was asked whether the heart transplant had changed his approach to his job. "What's changed as I've come back is — the element that's been added for — the level of human engagement that's required," he said. "An airline is a people business, plain and simple."